In a saucepan, gently melt the dark chocolate and single cream. Don’t let the mix get too hot. Remove from the heat and use a balloon whisk to beat the chocolate into the cream to make a smooth ganache. 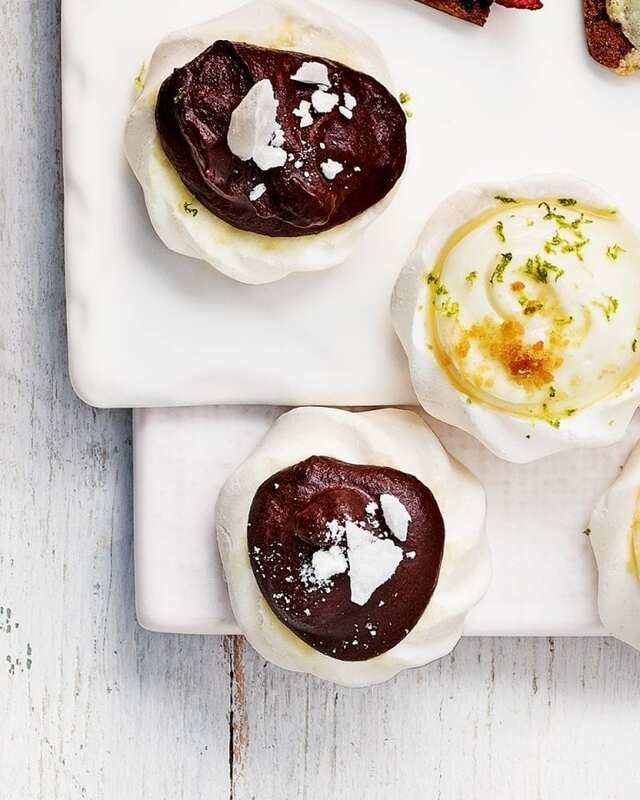 Slice the tops from the mini meringue shells (keep the crumbled meringue), then pipe or spoon the ganache on top of each meringue. Chill until ready to serve. Top with crumbled meringue to serve.